Challenge: Lately I’ve had several requests for backgrounds that have particular features, like more “chalk” blur, or fewer scratches and specks, etc. Solution: Rather than reinventing the wheel and creating multiple versions of the chalkboard background files, you get to do all the work! Brilliant! Thank you. So have at it, you uber-picky chalkboarders. Here are my original .PSD files for your edification. RGB color space so you can add color tints if you’re so inclined. Change mode to CMYK of Grayscale for print projects. Layers are clearly marked so you know what you’re altering. Create more layers and/or add text according to the formula outlined here. I am making a huge poster, size is 2.9 meter to 2.9 meter. Is there a way to use your high res background for this project? Maybe I could make a pattern of it or so? I don’t think even the 16×20 @ 300 dpi would work at that size (you’d be interpolating a 87 MB file up to almost a gigabyte and that’s at 150 dpi!! ), and tiling it would look pretty odd since it wasn’t designed that way. If it were me, I’d create a new 2.9 meter x 2.9 meter .psd file at 150 dpi and build my own from scratch, but that requires some Photoshop knowledge and lots of RAM! 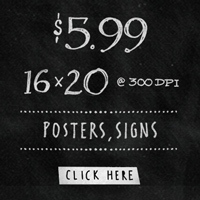 Just seeing if I purchase the 16×20 chalkboard background file, will I able to trim it down to create smaller projects? 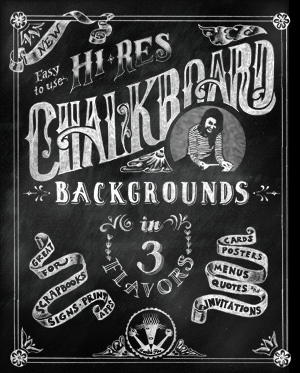 If I buy the Hi-Res Chalkboard Background can I use it for commercial use in my works? Yes. Please feel free to use the backgrounds in your commercial projects. I would only ask that you don’t re-sell the backgrounds themselves. Thanks! Really nice work there with the backgrounds! Can the 16×20 high resolution file be used for 13×19 files or smaller? 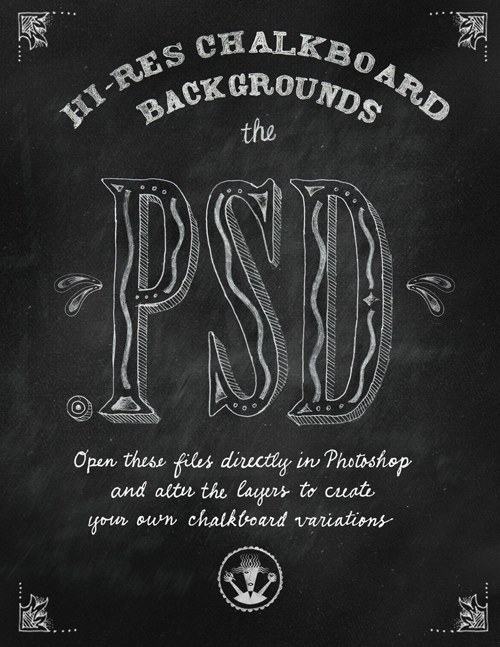 Sure, if you open them in Photoshop you can resize them pretty easily. 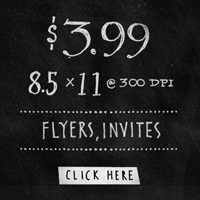 The larger.psd should be fine for a project this big. But, if for any reason you’re not happy with the result, I’ll happily refund your money.